âI believe that love is love and being able to love as we choose is a basic human right.As George has said, the Sultan of Brunei owns many luxury hotels around the world â hotels which David and I have found it impossible to visit since the Sultanâs plan to push for sharâia law in Brunei became public.
. But we feel we must send a message, however we can, that such treatment is unacceptable. 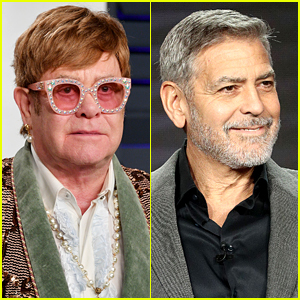 George Clooney wrote an op-ed piece the other day to announce a boycott of the Sultan of Brunei’s hotels over cruel anti-gay laws in the country.Our hearts go out to the good, hardworking employees of these properties, many of whom we know to be gay,” the statement continued.